Volkswagen, Audi Repair Service San Diego Car Sales|Autoexcel, Inc.
VW – Audi Repair, Service & Sales At Its Best In San Diego! Welcome to Autoexcel where we make your satisfaction our top priority! Autoexcel is an automotive service and sales center conveniently located in the Miramar area of San Diego. Providing customers with quality automotive services since 2006. Independently owned and operated automotive store along with hand-picked pre-owned vehicles at great prices. 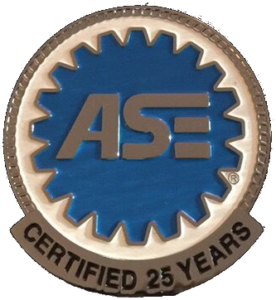 We are proud to be a certified “ASE Blue Seal of Excellence” repair center and “MACS” recognized business. Having more than 25 years VW / Audi brand experience and over 35 years in the automotive industry, we understand the importance and value of having high quality service and competitive prices. Our business has grown through the referrals of our many satisfied customers. We are your logical alternative to the dealership for all scheduled maintenance and repair of your vehicle. Bring in your auto with complete confidence that your vehicle will be serviced correctly while maintaining manufacturer’s warranty. We are qualified to service all makes and models. We’d like to thank you for visiting our website, and look forward to assisting you. Experience the advantages that our independently owned service and sales can offer.